A perfect nuance of bedroom is obviously started from the right shade choice. 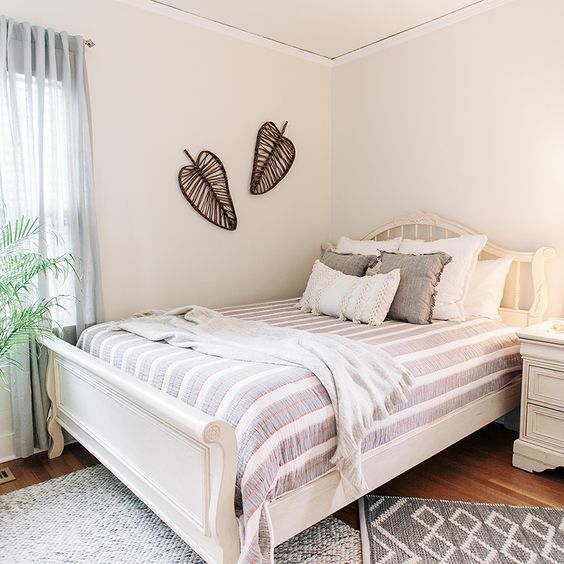 We all know that most of people often pick the neutral shades for their bedroom to get warm and calm look in space, but today, Feng Shui masters say that there are some color shades that are recommended a lot and others are need to avoid, as if they’re emphasizing that some can help you to relax and to calm down, and others can make you up and restless. 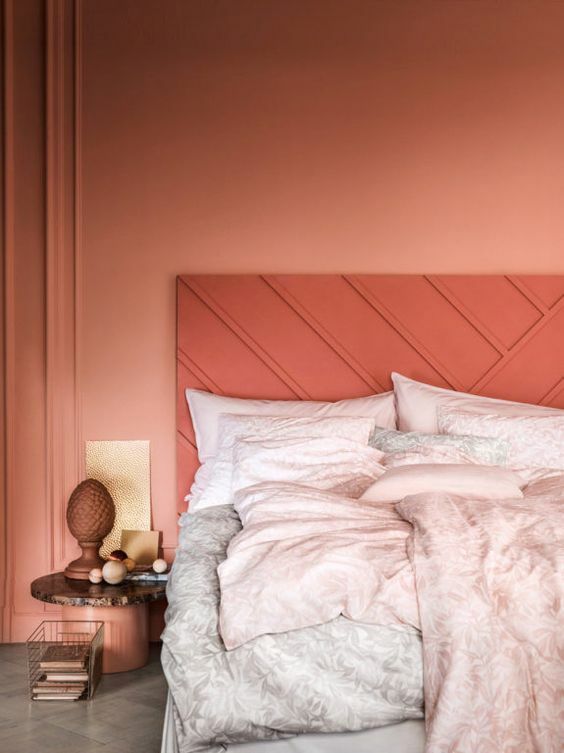 From this, you need to think about what shades choice that effectively can give you a ton of coziness, relaxation, and of course style to your private bedroom, and luckily, in this site you’ll get precious references of inspiring color shades for bedroom we’ve shared. 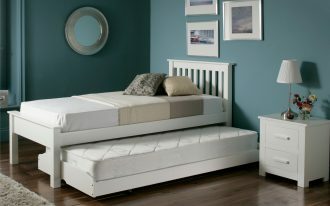 Don’t wait too long for this, and let’s start to get to know what the best for your bedroom. Crisp white is the first recommendation. 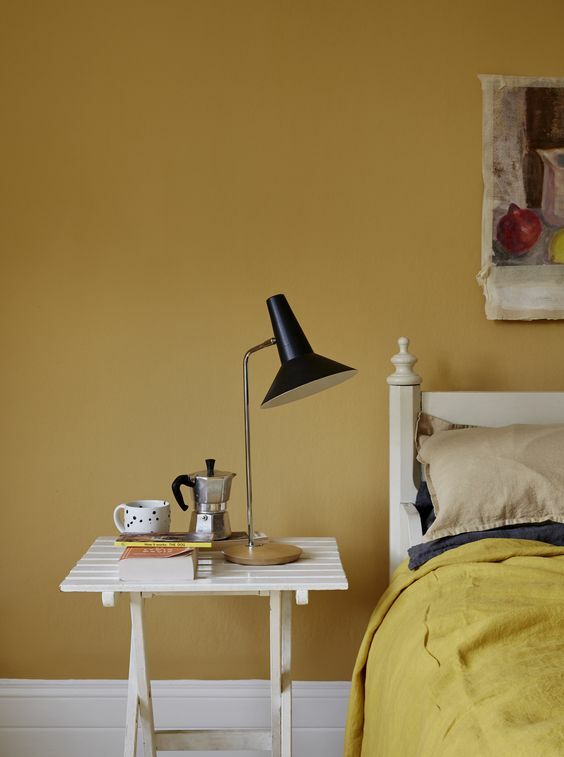 The shade is an ideal option of color shade for bedrooms. 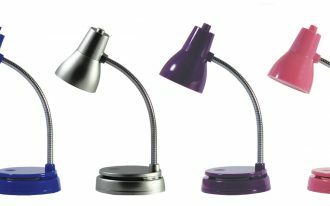 It can produce the natural brightness in space and of course it contributes in an airy feel. White can also create a unique visual effect: looks like snow but it makes you warm. Amazingly perfect! 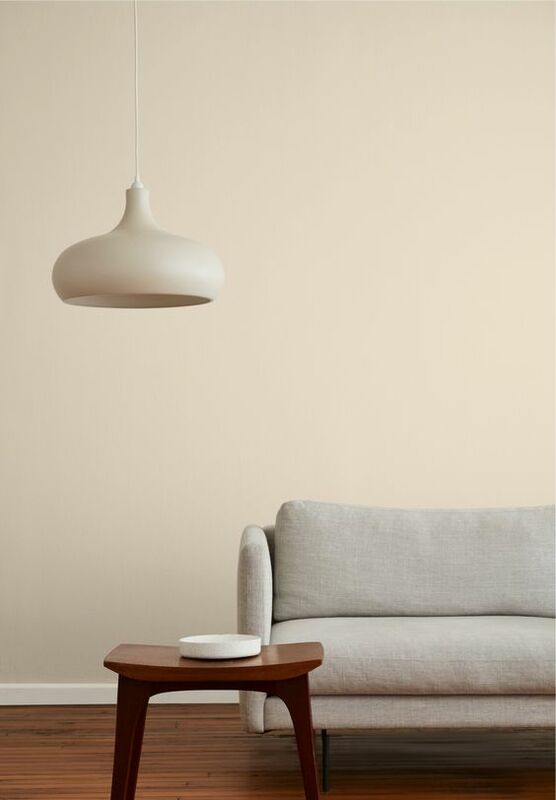 Consider this deep beige shade rather than other deep warm neutrals like tan, rust, and camel. This shade is able to create warm and intimate look simply with this honey-like hue. 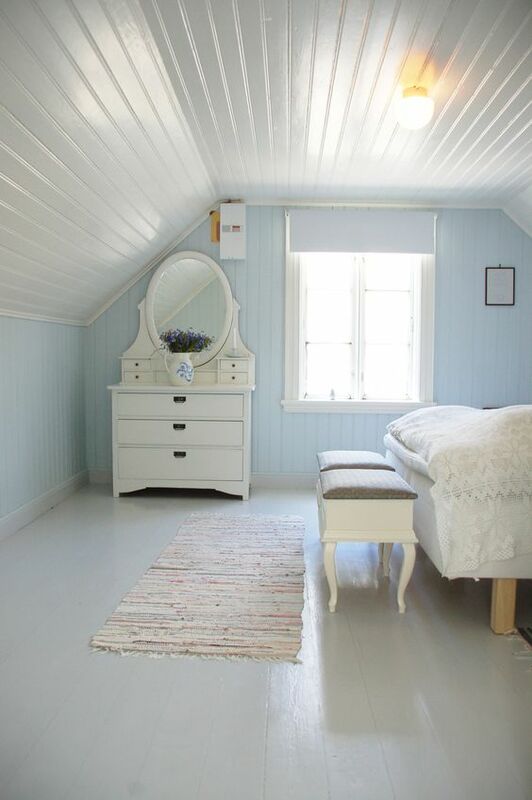 Like white, this soft blue shade can also bring calm and airy feel to your bedroom. Simply feature it with white for a serene space. Dreamy and always leads to perfection, the warm white surely gives soft and calm feeling. The shade exactly provides warmth visually. 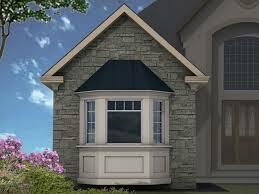 Clean look and modern are just the other visual effects produced by this color shade. The shade is called the sandy beige, lighter than the beige (undertone beige). Visually, the shade is neutral and can make the space looks natural and feels so homey. Use other warm shades to be pair with, this can produce the nicest color combination that exposes a monochromatic effect. 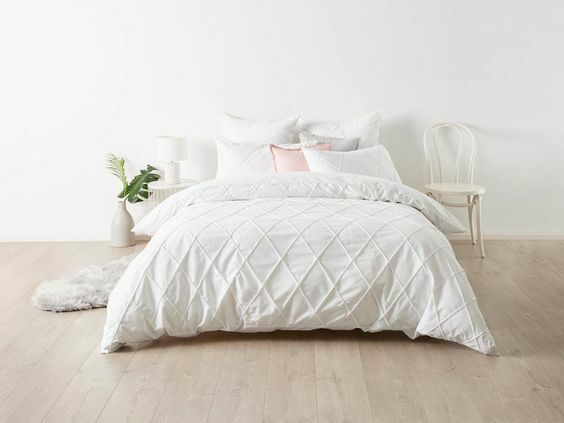 Off-white can be best alternative for a timeless bedroom. The color can soften too-bright space, so it effortlessly can make the space warm and reflect back the existing brightness in room. 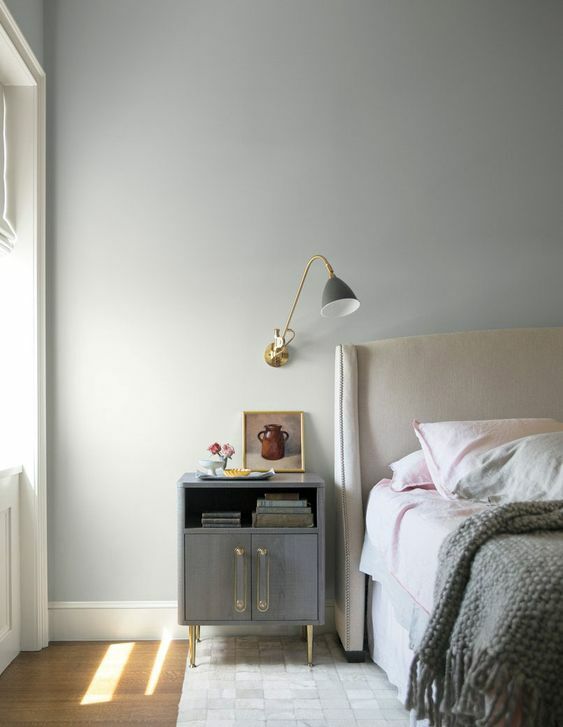 For a serene space of bedroom, we recommend this color shade as your primary option. An ultra-soft gray is a perfect blend of cool and warm. 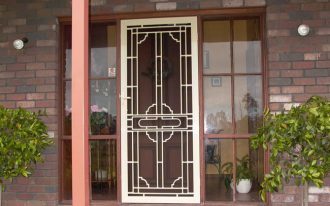 This can bring an elegance and comfort in visual way, so this can burst out the positive vibe and mood. 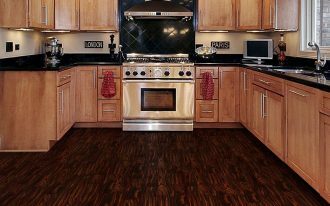 Feature this color with some brass pieces for more luxury. Soft and girly – this baby pink wall idea fits for teen girls whose energetic but gently sensitive. Whites, pastels, and softer pop of colors potentially suit this chosen tone. 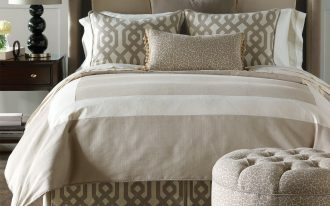 The combination will produce other soft-look bedroom like this one. Pink-coral blend – it’s like an ombre but still exposes the obvious color difference between these two colors. 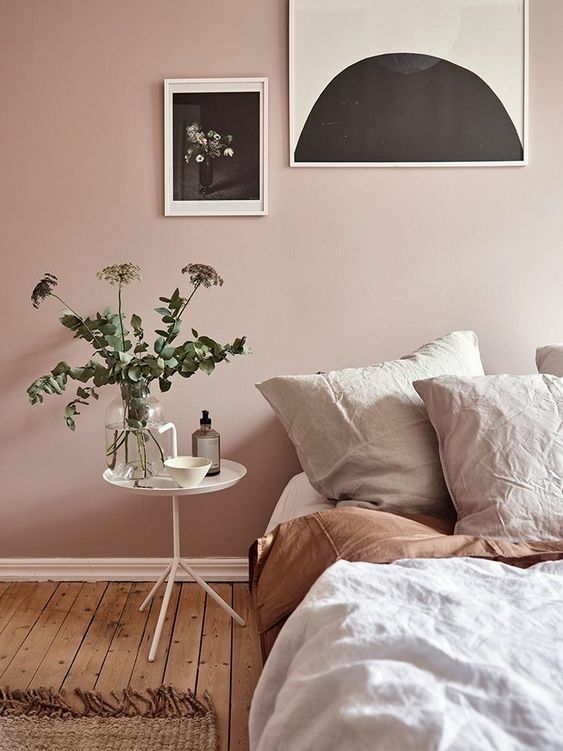 Ultra-pale pink bed treatment could create any contrast in this room. 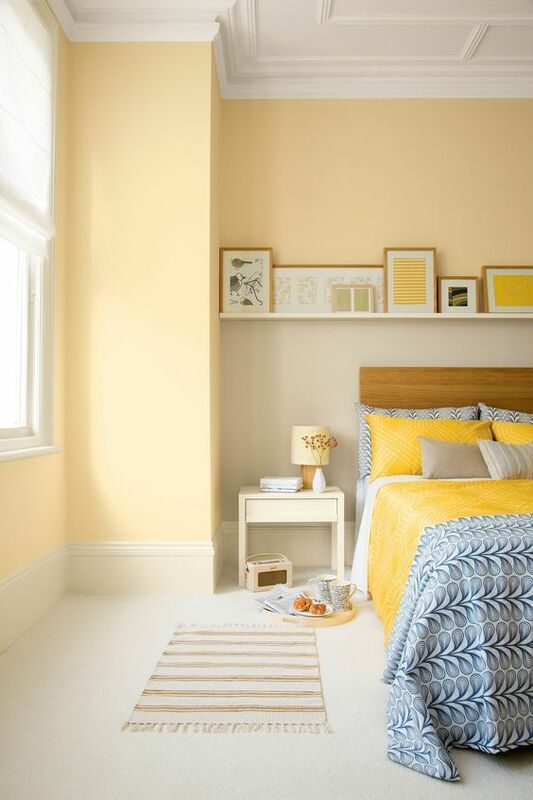 As bright as the sunshine, this sunny yellow offers much fun and coziness to you. Through this color, you deserve the happiness and fresh mind after your long naps, and be ready to welcome and to enjoy your happy mornings.